How do you encounter art in your city now? What kind of effect does it have? 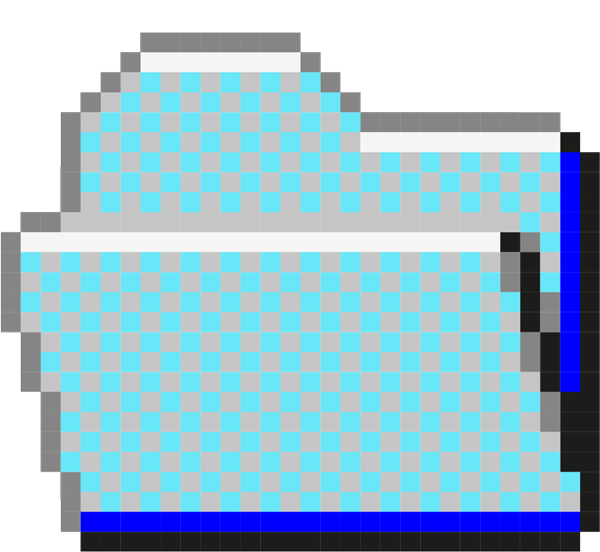 How would you like it to be by 2016? 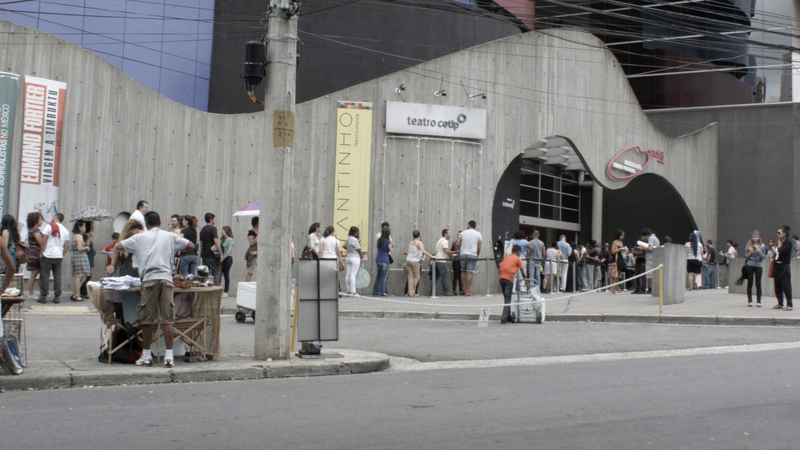 In the past three years, blockbuster shows became a trend in the exhibition programmes of art institutions in São Paulo. Materialised in long queues on the streets of the city and through the social media trend to post selfies with the latest exhibition posters, the blockbuster phenomenon brought with it an exceptional increase in audience numbers for art. Regarded as indicators of quality, the extensive lines in the streets were an attraction in the first stages of this phenomenon but became a problem when they outgrew the capacity of the streets and institutions. Parallel to this phenomenon in the arts, the past three years brought many political and social changes for Brazil. The many crises for the PT (the governing party of the country) and accusations of corruption led to an impeachment process against Dilma Rousseff. In São Paulo, where a Right Wing party has been governing for many years, this came together with an Education and a water supply crisis. How would you share this with other localities? On the occasion of PROJECT_16’s show, the artist proposes to capture the responses of audiences to the London exhibition. 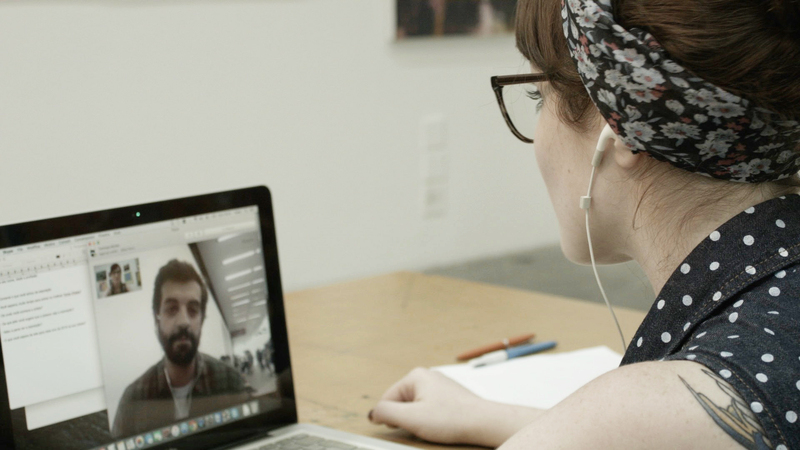 On the opening evening of 8 March 2016, Nishijima will connect thirteen online participants of the happening in São Paulo with thirteen people from the audience at the Royal College of Art. As a response to the questions posed by PROJECT_16, and putting in parallel these two realities of the city, Paula Nishijima proposes A project for people I don’t know. 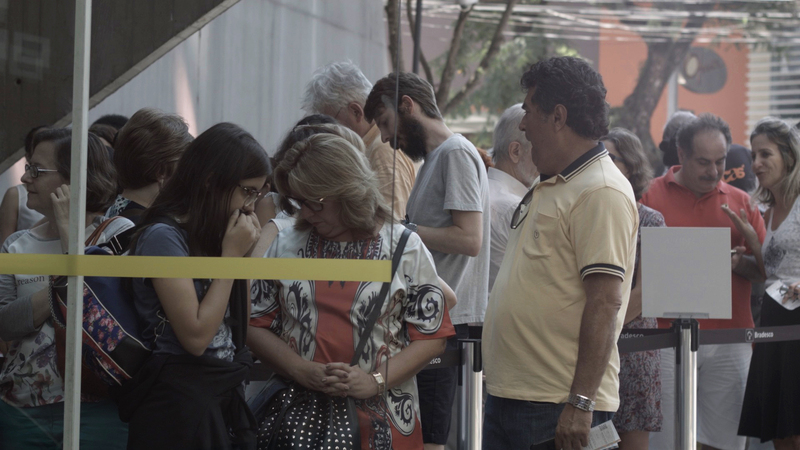 Composed of a two-day happening in São Paulo and a film, this work is the outcome of a two-year research project initiated with the Goethe Institut of Brazil and developed through the collaboration with PROJECT_16’s curators. With almost 600,000 visitors, the exhibition Frida Kahlo — connections between surrealist women in Mexico at Instituto Tomie Ohtake, was chosen by the artist to engage new audiences of her city and address questions of the use of public space and the role of art. 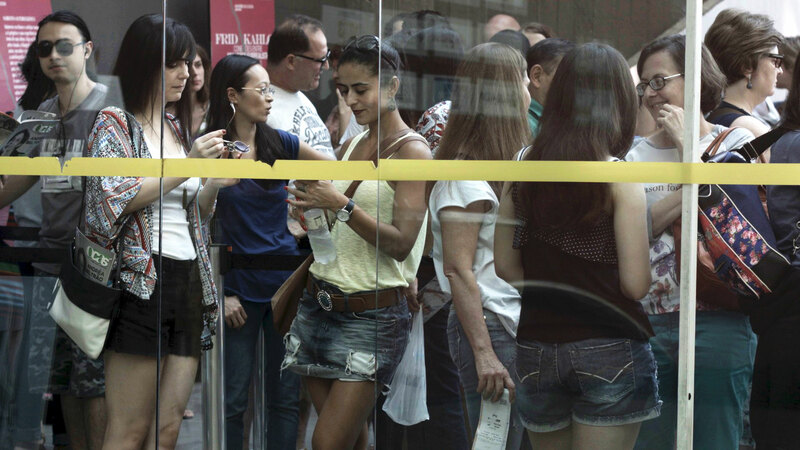 On 19 December 2015 and 10 January 2016, thirteen people queuing to get into the exhibition were selected to talk to thirteen people leaving the show. They didn’t know each other; they were connected online. Scripted at some points, these conversations between strangers created mirror-spaces to counter two different temporalities and spaces. 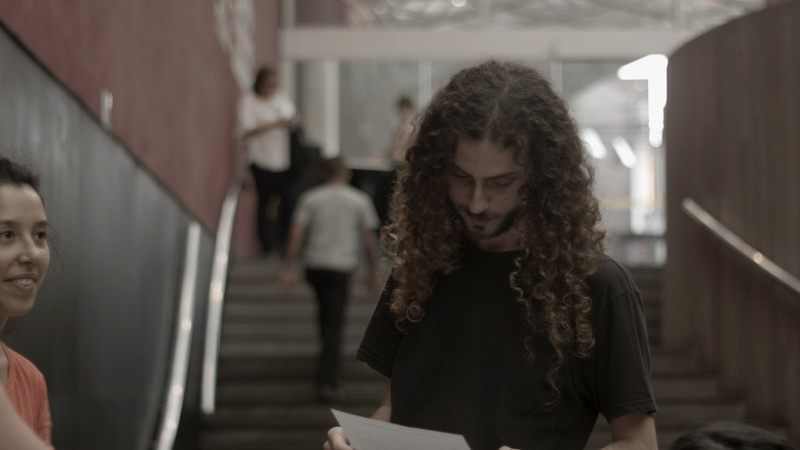 Drawing on psychoanalysis, the action gave voice to the audience to reveal the common expectations and anxieties of the people who form the queue and their journey from the street to the space of the gallery. Through these interactions, the happenings highlighted the audience’s unique position as a community in the public space and the potential for them to share thoughts while they are waiting. In this process, the online became the starting site for socialisation. 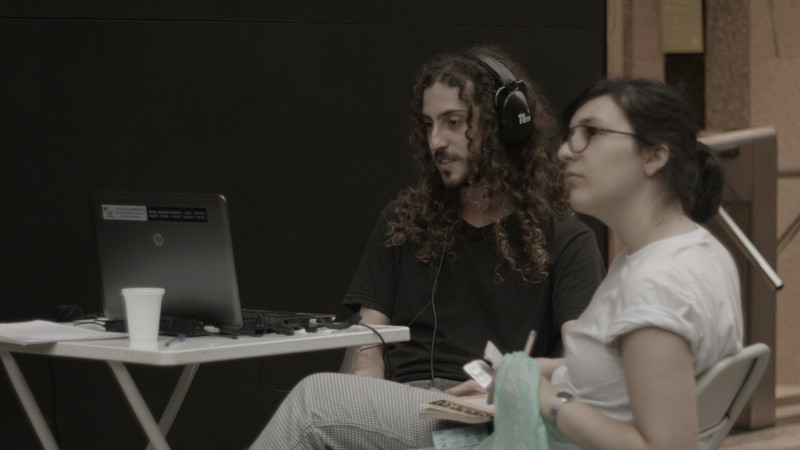 Whereas in the happenings the artist passed the three questions posed by PROJECT_16 onto to the audiences; this film presents the artist’s direct response to them. Rather than a documentary of what happened at Instituto Tomie Ohtake, the film unfolds as an extended part of Nishijima’s work, as her personal account of the state of art and audiences in her city. ‘How are these people trying to be part of their city?’ — poses Nishijima — ‘What do we want to show to ourselves and others by going to these exhibitions?’. In so asking, the artist deconstructs and reassembles the conversations between strangers in a new narrative, one that amplifies the project’s scope from the art and anthropological spheres to the political one. 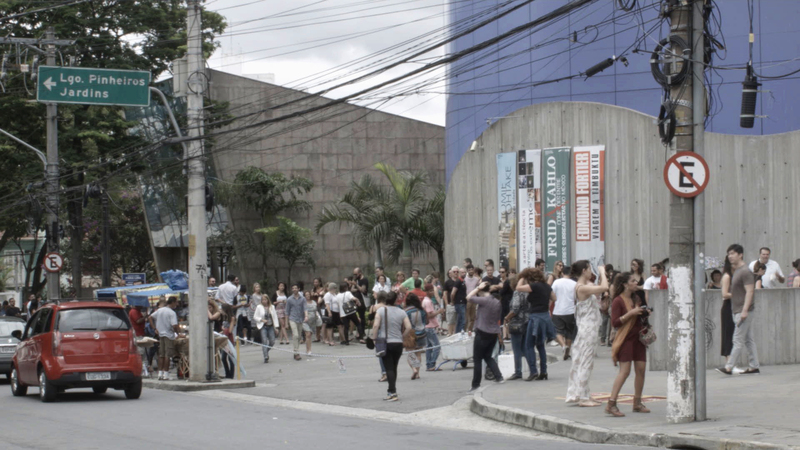 ‘To me’ —says the artist— ‘the political dimension of São Paulo as a city matters to understand why the audience of blockbuster exhibitions keeps increasing’.